Want to know what 007 drinks in SPECTRE? Here we take a look. James Bond has been associated with booze ever since Ian Fleming first set about writing Casino Royale. 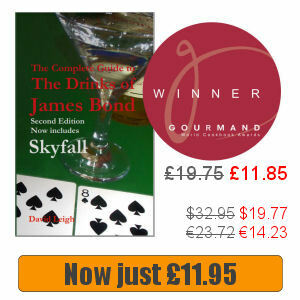 While the Vodka Martini has become synonymous with 007, Bond consumes a variety of drinks. While this is particularly true of the books, it is true of the films too. 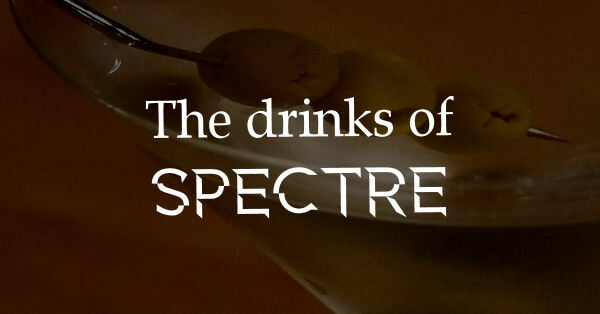 Here we take a look at the alcoholic drinks featuring in the latest film in the series, SPECTRE. Although not an official partner of 007, The Macallan whiskies were introduced to the James Bond series in Skyfall. A number of different vintages appear in various scenes, including the scorpion scene while “enjoying death”, in M’s office and her flat, and in the scene where Silva shoots Sévérine. It is The Macallan 1962 she balances on her head. In SPECTRE the product appears on the table in James Bond’s apartment when Moneypenny pays him a visit. It was first spotted in the trailers and, while not prominent, was identified as The Macallan 18 year old by James Bond Lifestyle. 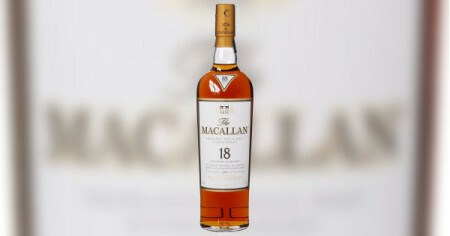 You can buy The Macallan 18 year old from Amazon UK. Another drink that appears in SPECTRE without bring an official partner appears to be Courvoisier cognac. When Lucia Sciarra returns to her villa after her husband’s funeral she pours a glass of what appears to be Courvoisier VSOP into a crystal tumbler (this will need to be confirmed from the DVD). Drink in hand, she walks into the garden. In one of the best scenes of the film she stands there, awaiting her fate. 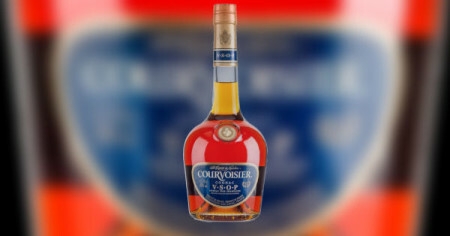 Courvoisier VSOP is available from Amazon UK. After Bond hits the hitmen he pours two glasses of champagne. Given that Bollinger is the official champagne of the James Bond films it is almost certainly this that he pours. According to a press release from Bollinger in September it is the Bollinger RD 2002 that appears in the film. No doubt the champagne declined in Morocco after being captured by Blofeld was the same. 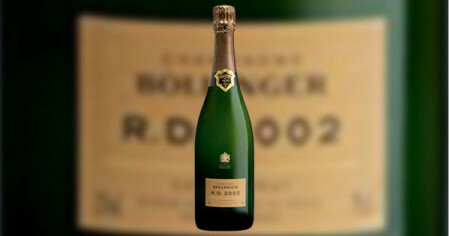 Buy Bollinger RD 2002 from Amazon UK. 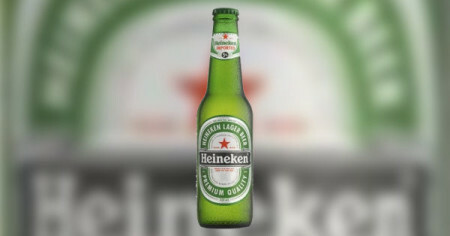 Heineken created a big fuss announced that Bond was to drink its product in Skyfall. Widely interpreted by a hysterical media as Bond swapping his Vodka Martinis for Heineken, the beer was seen briefly in one scene and barely commented on at the time of release. Bond again drinks Heineken in SPECTRE and again it is scarcely noticeable. In another great scene Bond sips at his beer while keeping watch over Madeleine Swann and interrogates a mouse. When the mouse disappears into its hole, Bond tips his beer on the floor to reveal the whereabouts of a hidden room. 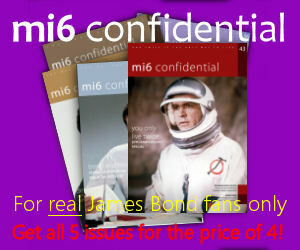 Available from Amazon UK or your local store. While it was strange that there was no official vodka for the 50th anniversary film, SPECTRE saw Belvedere jump on board as one of the sponsors. Later on the train, Bond and Madeleine order dirty Vodka Martinis. Although no bottle is shown, the implication must be that the Martinis are made with Belvedere. At Dukes Bar the day after the London première I noticed they use Belvedere vodka. Perhaps it is because of the link with Ian Fleming that it seems to be the house vodka. 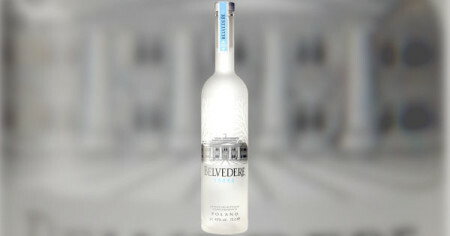 Belvedere vodka is available from Amazon UK. 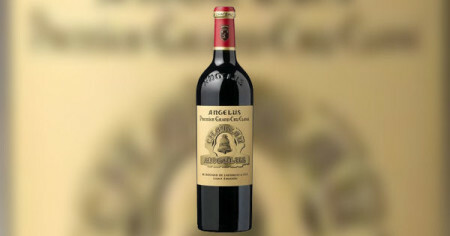 Although not an official sponsor, a bottle of Château Angélus also appears in the scene on the train. You can see it on the still below, on the table occupied by fellow diners left of Madeleine, although it is unclear what year the bottle is. Château Angélus first appeared in Casino Royale and is a favourite of (I believe) Michael G Wilson. Buy Château Angélus from Amazon UK.